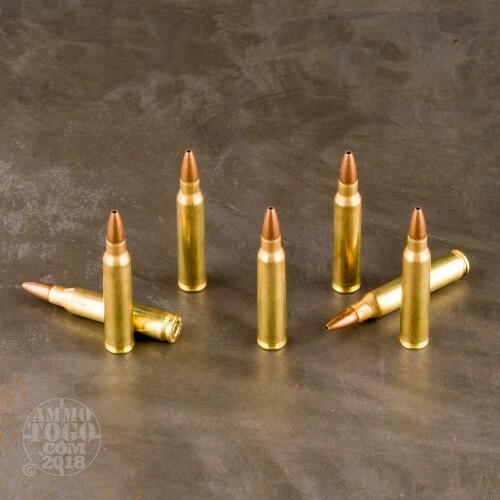 Those pesky varmints don't stand a chance against you and your AR-15 (or other .223/5.56 NATO rifle) when you bring this hollow point ammo into the field. These .223 Remington cartridges fire a light, fast-moving 45 grain JHP bullet that fragments rapidly on contact with a squirrel, groundhog, coyote or other pest for maximum terminal performance. 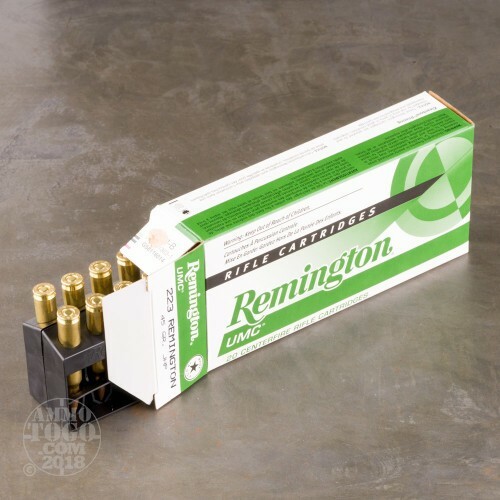 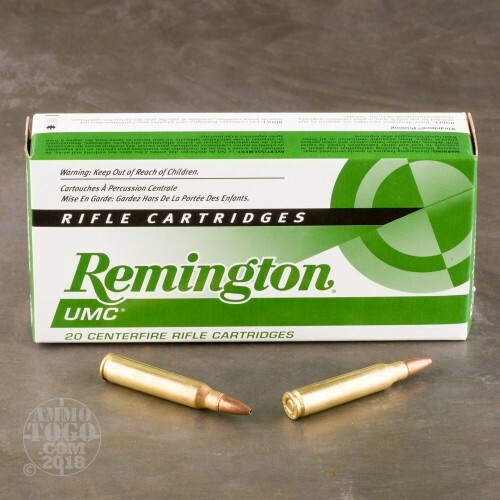 Remington UMC ammo is loaded in Lonoke, Arkansas and uses reloadable brass as well as non-corrosive primers. 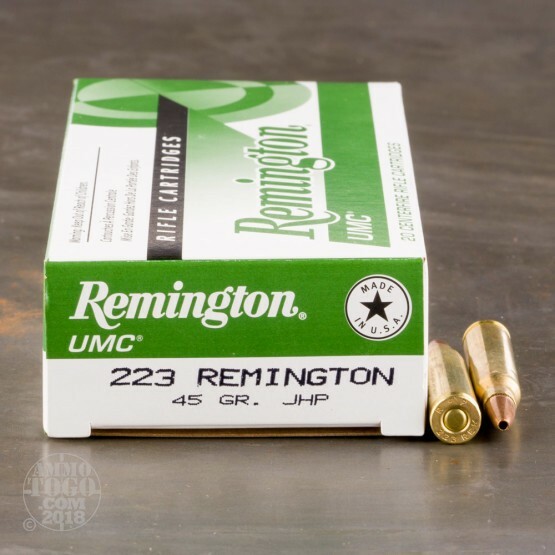 Each case contains 200 cartridges.